Dalyn Wertz has over 20 years of marketing experience that spans the IT, telecommunications, consumer and nonprofit industries. A recognized leader in building high performing channel programs, her specialties include partner marketing, demand generation, development fund programs, sales and marketing enablement and go-to-market strategy. Dalyn is the Executive Director of Channel Management for Comcast Business. In this role, Dalyn manages Comcast's indirect channel program (the Comcast Solutions Provider Program) which has thousands of partners who sell Comcast's full portfolio of business services. In addition, Dalyn is responsible for partner marketing, communications, enablement, events and partner recruitment. Prior to joining Comcast, Dalyn was a Principal Consultant at The Optera Group, where she led the Technology and Channel practice. In addition, Dalyn has worked on and built partner programs at leading technology companies including Level 3 Communications, StorageTEK, GE Access and CompTIA. 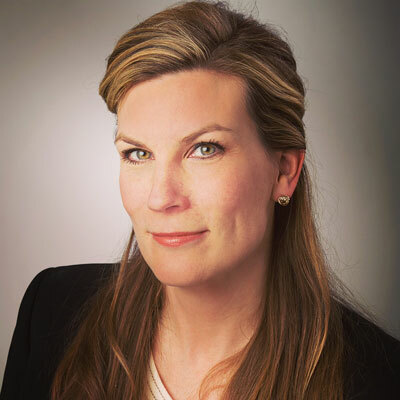 Dalyn has been recognized for her leadership in the channel and was awarded the LEAD award by Women in the Channel (WiC) and has repeatedly made the CRN Power 100 List. She was recently honored with the TAMI award by CTAM for her leadership to further the cable industry. Increased focus on top performing partners by dedicating a Field Engagement Manager to focus on driving business through campaigns, marketing support and helping leverage available MDF. Built and launched a new marketing platform, Channel Express, to help partners access Comcast content quickly to support their sales efforts and drive revenue. Provided more dedicated operations support to top partners to aid in ease of doing business. Launched new Master Agane program to identify top Master Agents with Pinnacle and Diamond status to provide more MDF and dedicated resources. Continue to elevate program through innovative enablement and recruitment tools and marketing platforms. Increase training through new LMS platform. Invest in platform to manage referral leads to eligible partners. 2017 Women in Channel LEAD Award: Women in the Channel's LEAD Award is presented annually to exceptional female leaders in the technology channel. It celebrates women who are courageous, creative, collaborative, connected and confident in advancing channel careers. It also seeks to inspire other channel women to follow their lead. Dalyn was one of the inaugural winners as nominated and voted on by her peers. CTAM TAMI Award: Annual award given to members who are honored for their exceptional leadership in projects that benefit both CTAM and the industry at large. I admire Amy Bailey, VP of Marketing for Telarus. Amy is an amazing role model and inspiration for me. She is always positive, creative, inclusive and thoughtful to everyone she works with and collaborates with. She is a gifted marketer who has elevated Telarus's presence in the industry and helped fuel their growth. She is active in WIC as a Board Member and mentor to many young women starting her career. Outside my relationship with Amy professionally, she is a good friend and I am grateful to have her in my life, as she makes me better at my job. I would tell my 16-year old self it is all going to be OK. I should be confident, strong and trust my gut and instincts. I should continue to have fun, explore and try new things. To not put energy into negative people or crazy makers and choose friends and relationships which make you better. Finally, I would tell myself that being 6-feet tall is a gift, one that you will appreciate as you get older. I would like to learn to be a professional designer and be able to execute on all my wacky ideas. The Subtle Art of Not Giving A F*CK by Mark Mason. It was given to me by a friend that I adore and the book has been my go to that I bring on all business travel and vacations. I love the counterintuitive approach it teaches to living a good life and letting go of being perfect and ruled by society's and social media's examples of what being happy means. I strongly recommend it...and it is FUNNY too!